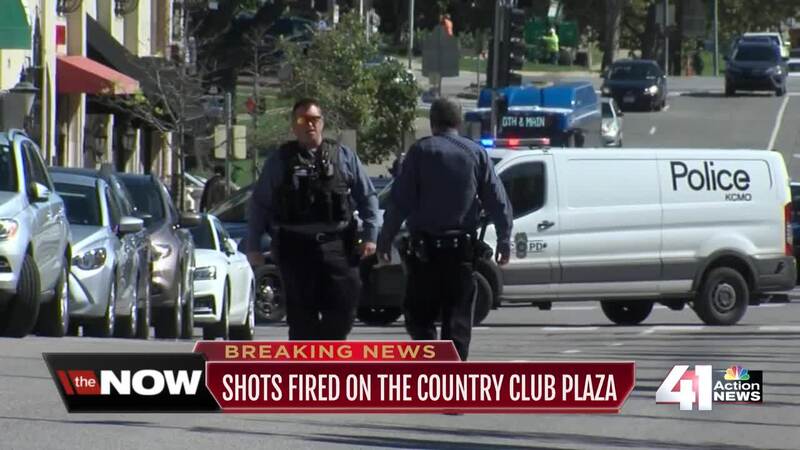 Two people are in custody after a report of shots fired in the Country Club Plaza area on Tuesday afternoon. KANSAS CITY, Mo. 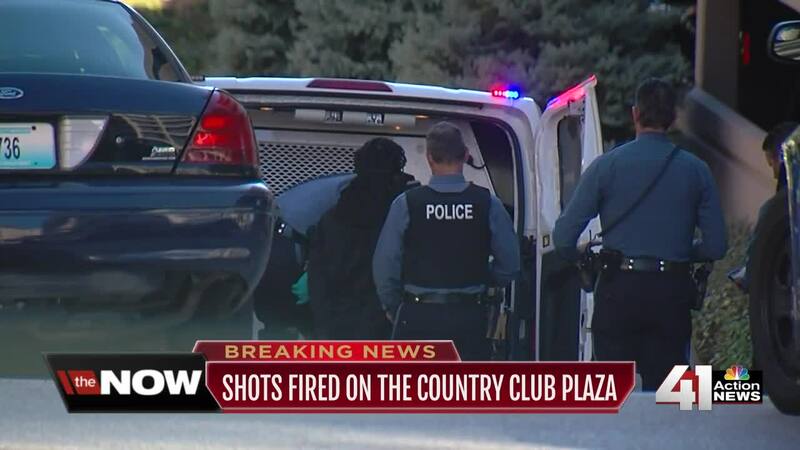 — Two people are in custody after a report of shots fired in the Country Club Plaza area on Tuesday afternoon. The shots were fired outside the Shake Shack near 47th Street and Wornall Road at around 11:30 a.m. Tuesday. Police quickly arrested one person at the scene but initially said two to three other suspects fled on foot. At about 3 p.m., officials said a second suspect was in custody and that they were not looking for anyone else. 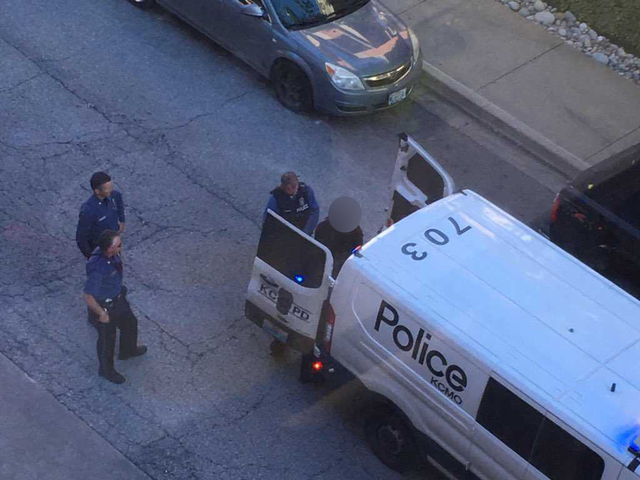 Police said a K-9 officer located the second suspect in a parking garage. Police said they are still unsure what the motive for the shooting was. An employee at a nearby business said at least one of the suspects was a former Shake Shack employee. A viewer sent in this photo to 41 Action News that shows a suspect being taken into custody. We have blurred the person's face because they have yet to be formally charged. Michael Stettnish was near the scene when the shooting took place and said he heard four to five gunshots. "I was finishing lunch with my boss, came out, went to the truck and heard four or five shots, turned around and saw three guys running towards us and we just took off," said Stettnish. Video from the scene shows investigators picking up five shell casings. KCPD Spokesperson Lionel Colon said the location of the shooting is surprising but doesn't make it different than other violent crime in Kansas City. "The Plaza is the crown jewel of the city. It draws extra attention but I don't want to ignore what is happening anywhere else and we don't, so we apply the same resources as anywhere else in the city," Colon said. Michael Hammer, the area director for Shake Shack, sent a statement Wednesday commending the company's employees' reaction to the situation. “Everyone is safe, and we commend and thank our team members and guests for how they handled the situation. We’ll continue to work with the authorities in any way that’s helpful,” Hammer said. Several streets in the area, including 47th Street from Broadway to Jefferson, were closed due to police activity. All streets were back open by 3 p.m. Tuesday.